Cars On Line depends on users having good experiences while buying and selling collector cars, which is why it’s very troubling to hear stories like the one that follows. 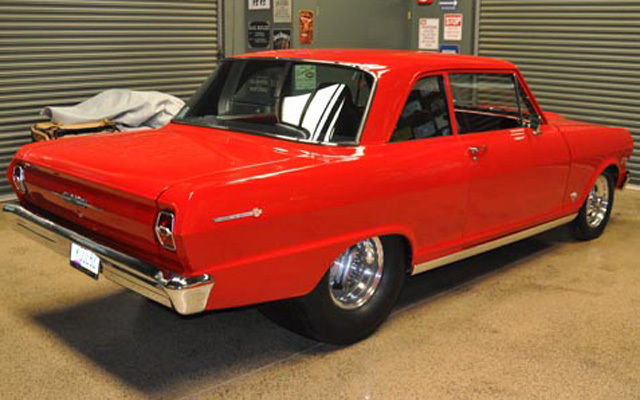 A recent user, who is a disabled veteran, bought a 1962 Chevy II Pro Street. He was warned by friends to “never buy a car off the internet,” and thought he was being careful when he decided to proceed with the transaction. He made some critical errors though, which allowed an unscrupulous seller to take advantage of him. First of all, he did not order a pre-purchase inspection before buying this car. Every time you buy a collector car it is a “buyer be ware” situation. Once you buy it you own it, so it is up to you to make sure that the car is everything you want it to be. While a pre-purchase inspection will not find everything wrong on a car, it will give you an idea of the condition of the car as well as the value. 13. Doors would not close properly, and had hinge screws loose. None of these issues were mentioned in the ad, or at any point during discussions with the seller. Ten out of the thirteen problems mentioned above could have been discovered during a pre-purchase inspection. That might have been enough to call the sale in question, and the buyer might not have gotten into this deal. He wishes now that he had had the car inspected. Click here to read more about the Cars On Line Inspection Service. Secondly, we always recommend that buyers should use a Bill of Sale when buying a collector car. We believe it is inexcusable that some sellers choose to misrepresent vehicles they are selling. When you use a Bill of Sale to complete the transaction you can incorporate some safeguards which will identify the seller’s responsibilities. A Bill of Sale is in itself an agreement between the buyer and the seller. It can include any representations that are being made by the seller. It has both the buyer and seller’s signatures, and is a legally binding document. Lawyers love documents, and you’ll need this one if you should decide you were misled while buying a collector car. To learn more about using a Bill of Sale, click here! Buying a car online doesn’t have to be a nightmare, or turn into one afterward. But there are a few more steps necessary to make the transaction as safe as an in-person transaction. Be aware of these steps, and don’t cut any corners. The Cars On Line How to Buy a Classic Car Online series is meant to arm you with the knowledge to make any online sale a smooth and seamless one. 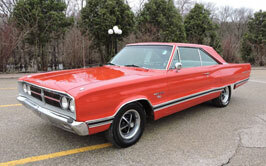 Click the link to read several articles about how to buy collector cars. They will make you think, and make you a smarter buyer.